click on photo to enlarge We adore you, O Christ, and we bless you. 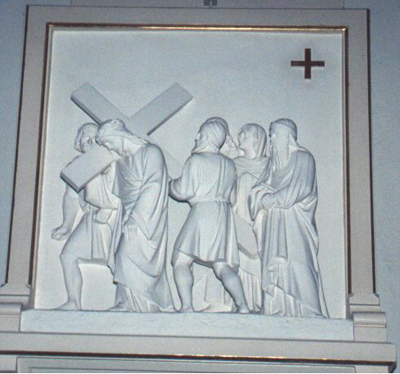 Because by your holy cross you have redeemed the world. I look into his face and contemplate his struggle. His weariness and fragility. His impotence. I see how he looks at Simon, with utmost humility and gratitude.